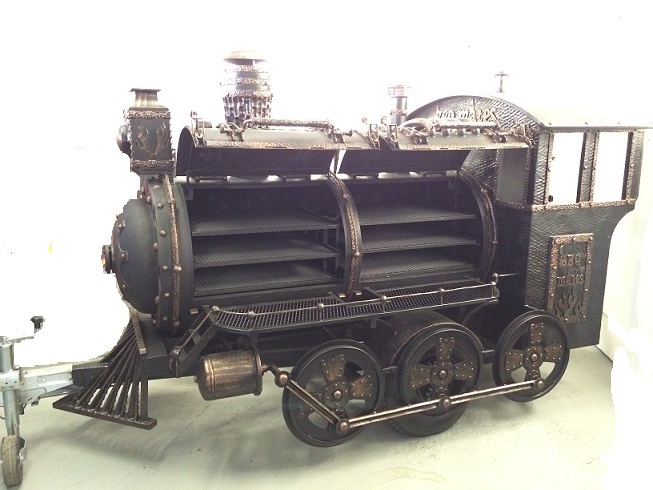 This is easily the best designed BBQ Train Trailer and looks absolutely gorgeous, taking the shape of a small locomotive. Created by BBQ Mates metal workers. 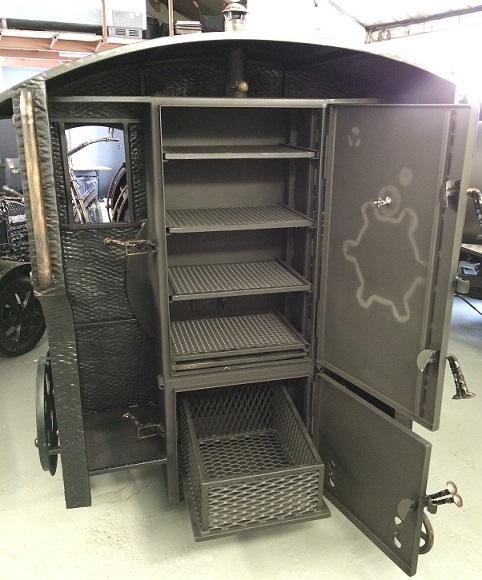 BBQ Train Trailer is apparently constructed using new (1/8″ and thicker) plate steel body with all new components, finished using heat resistant paint and mounted on the mobile trailer frame. 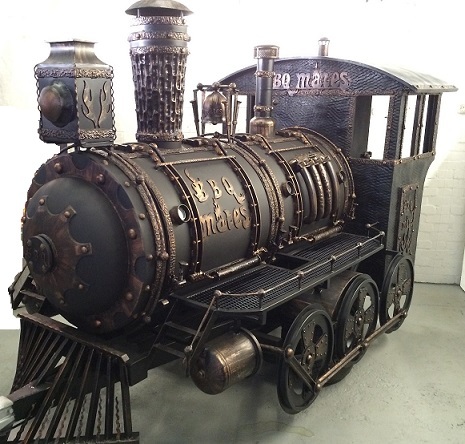 It’s a unique commercial sized mobile Barbecue Train Trailer with enormous smoking ad cooking space, unique own ancient Locomotive design. 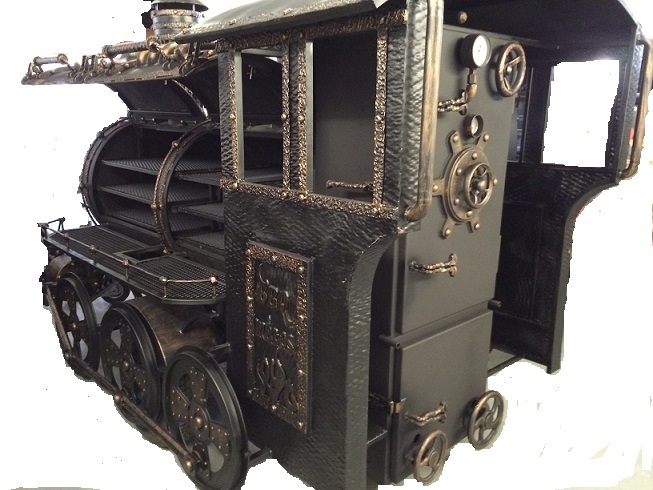 The BBQ Train is a fully-functional mobile cooking machine, complete with large reverse flow smoking chamber,warmer and fire box. All new (3-5mm and thicker) rolled plate steel body with all new components and finished in a heat resistant paint. 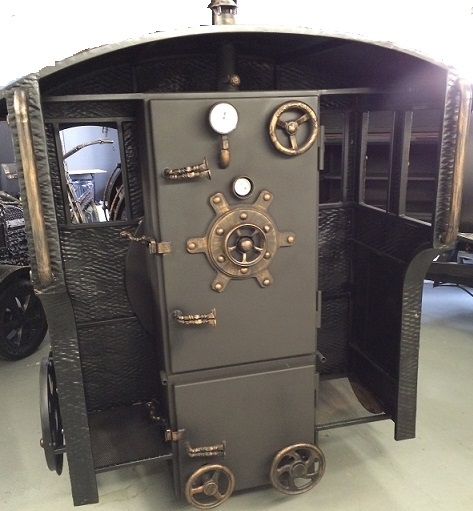 Smoker/Cooker comes with Stainless steel grease drain with a ball valve tap. Equipped with three 57mm dial stainless steel easy-read temperature gauges.